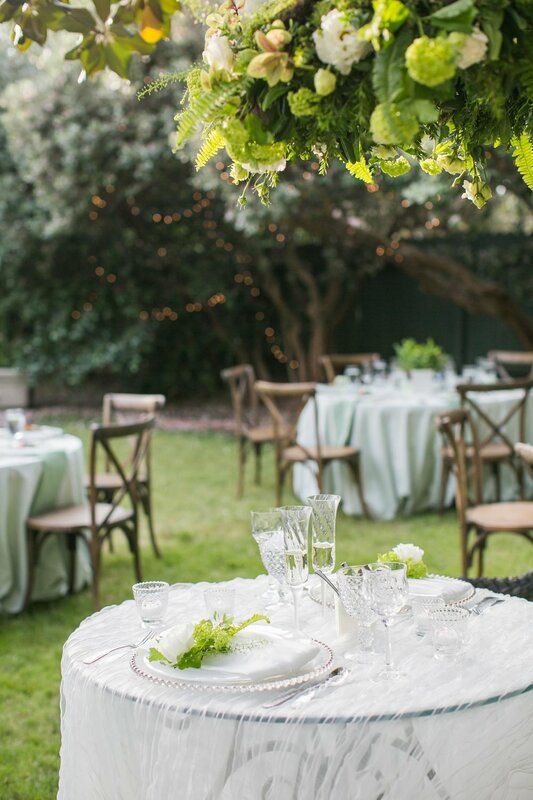 From intimate baby showers to extravagant dinner parties, our house and gardens are ideal for all kinds of special occasions. We invite you to celebrate your most treasured gatherings at the Christmas House Inn & Gardens with our special occasion afternoon tea. On Sundays we welcome private accommodations for up to 45 guests in the house or gardens – ideal for showers, book clubs, retirement celebrations, and birthdays. These teas are served in courses consisting of finger sandwiches, fresh-baked scones with Devonshire cream and jam, and petite desserts. The first two Sundays in December are reserved for our annual Christmas Tea. The house is decorated with boughs of evergreens, red ribbon, Christmas lights, and candles. The house comes alive with the holiday spirit. This event is open to the public but reservations go fast. Reservations can be made November 1, 2019. This option utilizes the house and veranda, making it an ideal venue for intimate groups of 30 to 50 guests. A dinner and dessert buffet is set up in the dining room, allowing guests to help themselves throughout the evening. This casual gathering is meant to imitate the social mingling of a party at home. 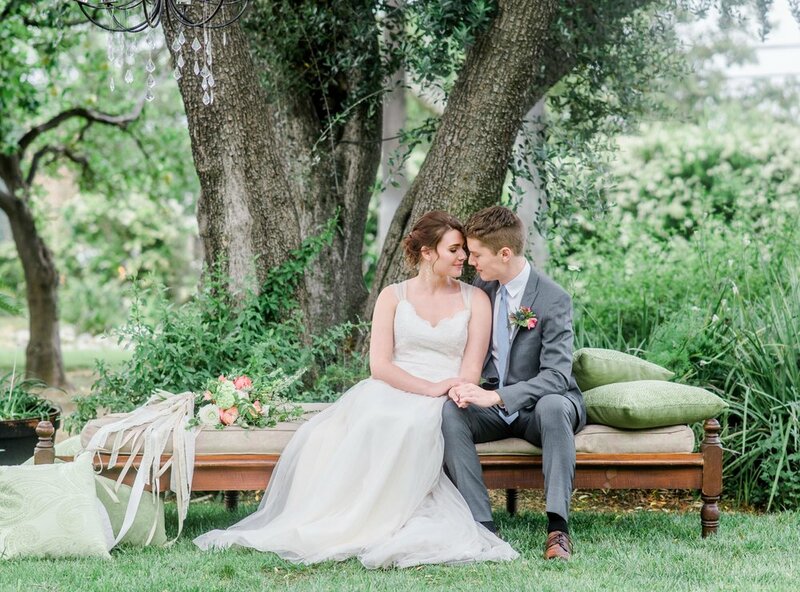 This formal dinner follows a similar pattern to our weddings by making use of Southern California’s beautiful weather and several of our outdoor areas. The evening begins with a cocktail hour inside the house with champagne and hors d’oeuvres. When all of the guests have arrived, the party moves into the Evening Garden for dinner, followed by dancing in the Garden Ballroom with music provided by a professional DJ. This option is suited for groups of 50 to 100. Christmas parties are a special event here, they are what we are named for after all. For these signature events, we blend the elegance and sophistication of our dinner parties with the frivolity and cheer of the holiday season. Champagne and hors d'oeuvres are passed among the boughs of evergreen and candles inside the house. Dinner is served under the festive lights of the Evening Garden, followed by dancing in the canopied Garden Ballroom. This option is suited for groups of 50 to 75.